Other dimensional configurations available, consult factory. Single phase only. Fluoropolymer guards standard. Risers pictured in left position, right position available. Flexible lead fluoropolymer covered heaters are normally equipped with a Protector 3 overtemperature device which requires a special P3-A circuit board or appropriate temperature control for proper operation. Do not wire this device as indicated for the Protector 1 (P1) or Protector 2 (P2), as a dangerous short circuit will result. Consult factory and installation instructions for P1 or P2 option on rigid riser models. 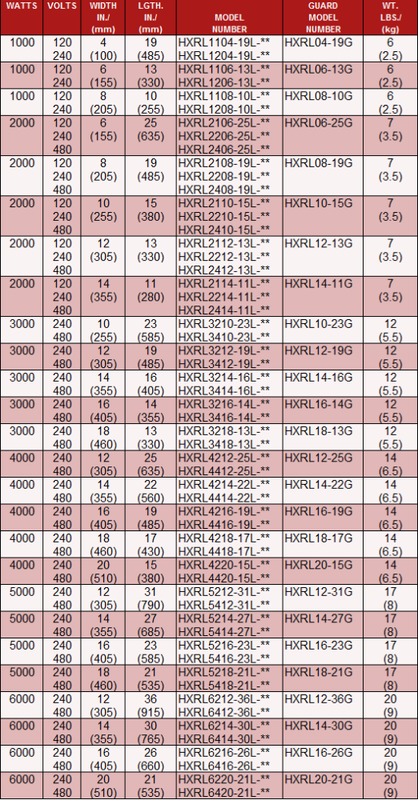 Heaters in excess of 24 amps may require a non-standard head with 3/4" conduit, please consult factory. 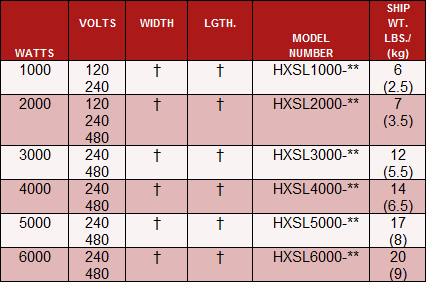 *Please consult factory for model numbers of specific heaters. Single phase only. Heaters built to conform to tank dimensions. Risers pictured in left position, right position available. Flexible lead fluoropolymer covered heaters are normally equipped with a Protector 3 overtemperature device which requires a special P3-A circuit board or appropriate temperature control for proper operation. Do not wire this device as indicated for the Protector 1 (P1) or Protector 2 (P2), as a dangerous short circuit will result. Consult factory and installation instructions for P1 or P2 option on rigid riser models. 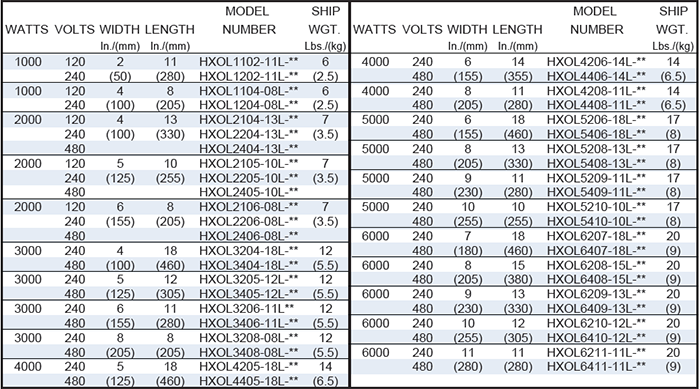 Heaters in excess of 24 amps may require a non-standard head with 3/4" conduit, please consult factory.